After the release of Kubo and the Two Strings in August, Focus Features will follow with the release of A Monster Calls in October. The visually spectacular drama is directed by J.A. 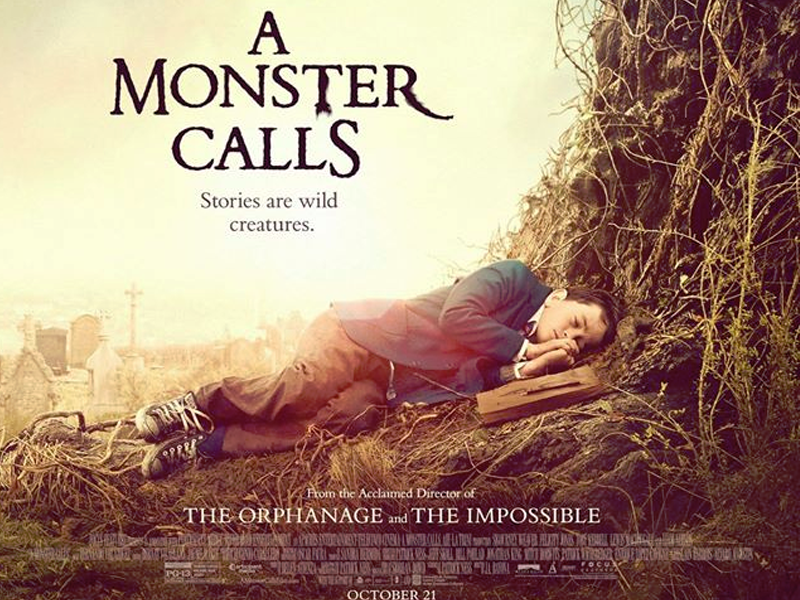 Bayona (The Impossible, The Orphanage) and written by Patrick Ness, based on his novel A Monster Calls . A 12 year-old Conor (Lewis MacDougall) is dealing with his mother’s (Felicity Jones) illness, a less-than-sympathetic grandmother (Sigourney Weaver), and bullying classmates. He finds a most unlikely ally when a Monster appears at his bedroom window. Ancient, wild, and relentless, the Monster guides Conor on a journey of courage, faith, and truth. Toby Kebbell plays Conor’s father, and Liam Neeson stars in performance-capture and voiceover as the nocturnally visiting Monster of the title. 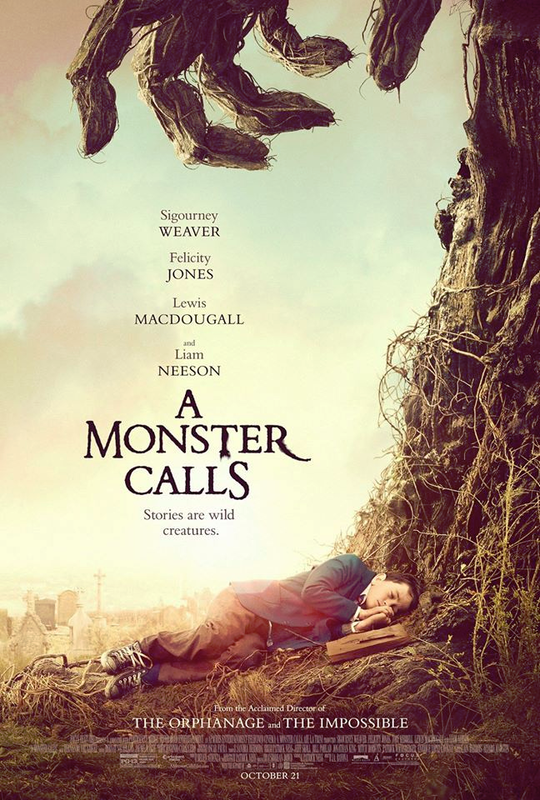 A Monster Calls opens in theaters nationwide October 21, 2016.